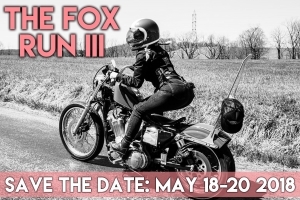 The Fox Run is a dedicated group of ladies located on the east coast. Supporting, empowering and uniting like minded females with the same passion for motorcycles, camping & adventure. You don't have to Ride to Attend!! The Fox Run would not be possible without it's dedicated sponsors & committed community members. Thank you to everyone who has been a support this far. Click here to become a 2018 Sponsor, Vendor Or Volunteer. Follow us on Instagram, Facebook, and Tumblr for updates.